Work for RSA Adaptive Authentication? Learning about RSA Adaptive Authentication? I like that this program is quick to open and will let you copy the code you need right into wherever you need to put the authentication code. I dislike that I have to wait for the code to change again sometimes when it is near the end of its usage period. Otherwise, I end up in a scenario where I have try to login again if it takes too long for my computer to process the request. Good, easy tool to use for greater information security. Fair warning though- it can be very difficult to set up. I know it took several hours on the phone with my company's IT support to get it set up for remote access on my personal computer. 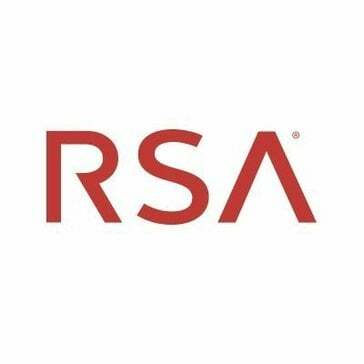 We are keeping our information and sites more secure with the RSA authentication codes. "Convenient, Secure Internet on the go"
I really have no complaints with the product. It is easy to use and I do not experience any crashing with it. "Use it to log in remotely"
"RSA has worked well for the company I work for - adds another layer of security "
* We monitor all RSA Adaptive Authentication reviews to prevent fraudulent reviews and keep review quality high. We do not post reviews by company employees or direct competitors. Validated reviews require the user to submit a screenshot of the product containing their user ID, in order to verify a user is an actual user of the product. Hi there! Are you looking to implement a solution like RSA Adaptive Authentication?